Henna is traditionally used for special occasions such as holidays, birthdays and weddings in the India and Middle East. 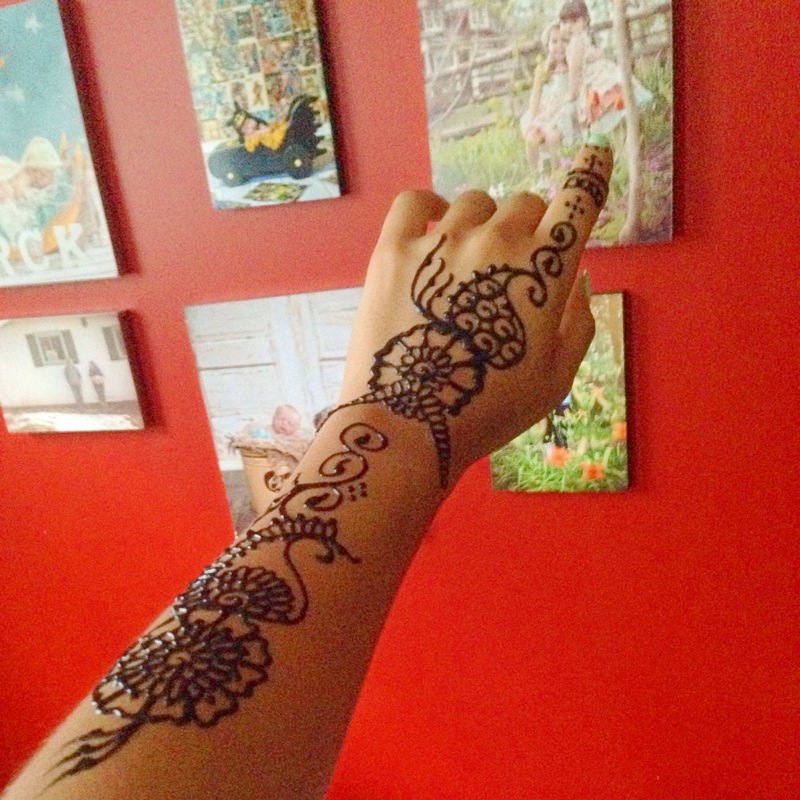 When You think of henna what comes to mind? Indian weddings and brides dressed in shimmering saris is what pops into my mind. However people from all over the world have adopted the tradition. It has become a very popular form of temporary body Art. A few weeks ago I got my very first henna done by Paula Abdallah the “Henna Queen” . The “Henna Queen” asked me if I wanted a specific design I had looked on Instagram and Pinterest for ideas but I wasn’t sure of what I wanted. So I asked her to surprise me and she sure did ! In less than 10 min I had this master piece on my arm. FYI Paula used Black Ink not Black Henna. 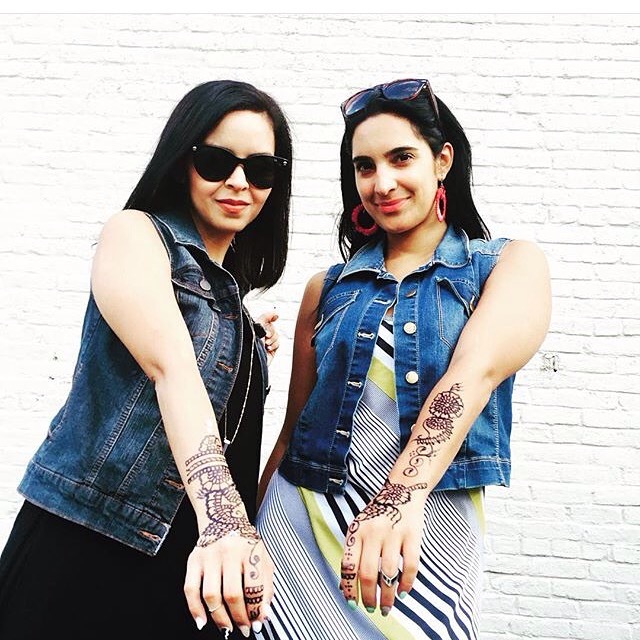 Black Henna can be toxic to the skin while Black Ink is 100 percent safe. Lillie and I showing off our Hennas.